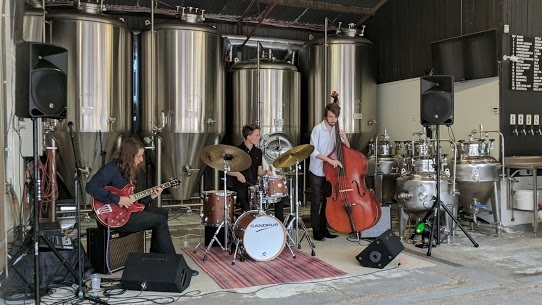 "Beer, beautiful beer" is the way the song might go, and this is the case at the All Inn Brewing Co. This boutique brewery belies its industrial neighbours with a wonderful relaxed ambience run by dedicated and knowledgeable beer lovers. 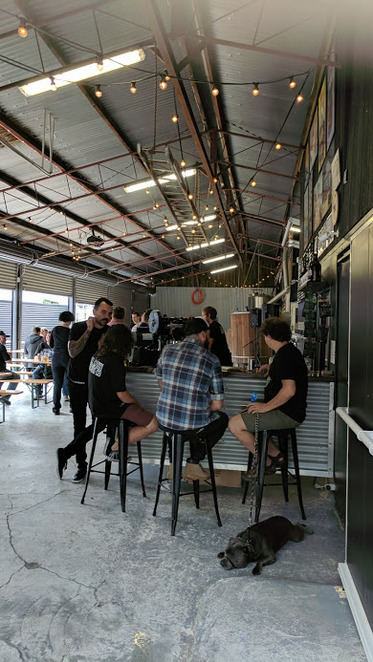 Tucked in between some serious looking businesses, All Inn Brewing Co is worth a venture just down from the delightful community of Banyo to 189 Elliott Road. 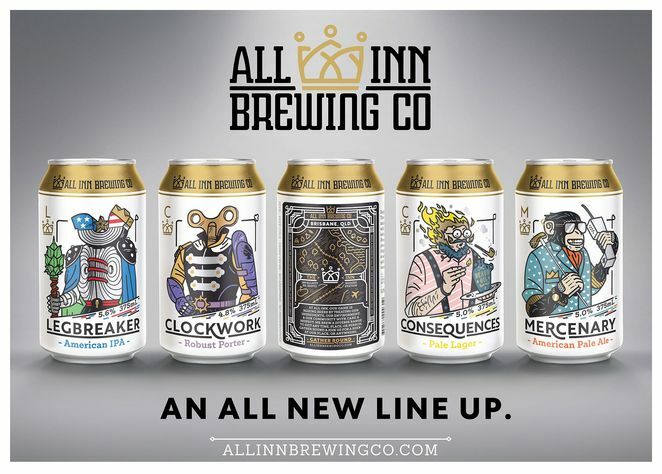 After over 4 years, All Inn Brewing Co has relaunched with a new range of beers and a branding with labels that resemble 'fantasy' graffiti style game playing cards. And they are no gimmick, as the beers taste magnificent. 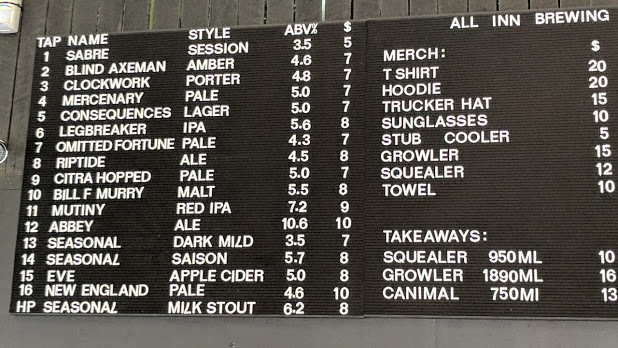 There's a variety to suit any palate such as the Sabre Session Ale which the taste notes describe as a "full flavoured, tropical fruit notes, sessionable" beer. 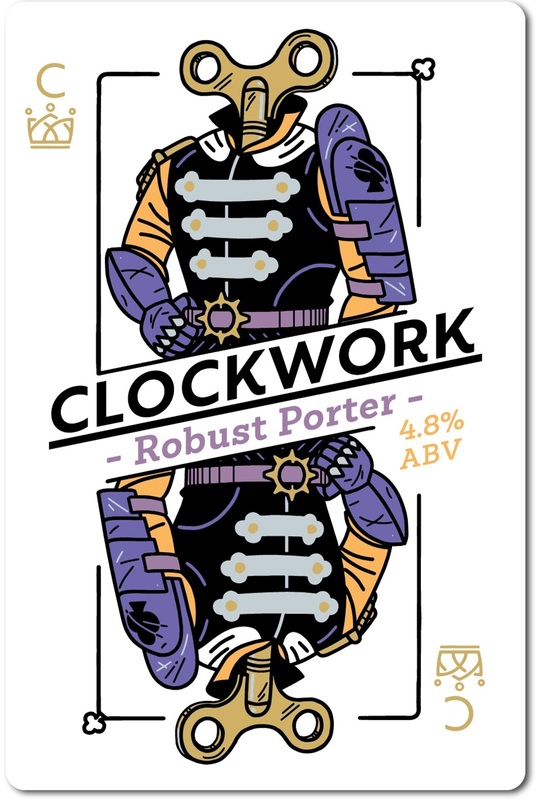 The Clockwork styled Robust Porter with an ABV of 4.8% is described as "a soulful porter with coffee and chocolate flavours combined with subtle earthy and woody characters for added complexity." A lover of dark beers, I enjoyed this along with the Dark Mild and Milk Stout. Check out the full beer listing and What's On. My non-beer drinking female companion liked the energetic vibe and comfortable bar to chill out over a weekend and listen to good live music. And there's a food truck most weekends to sate the appetite with the beer. 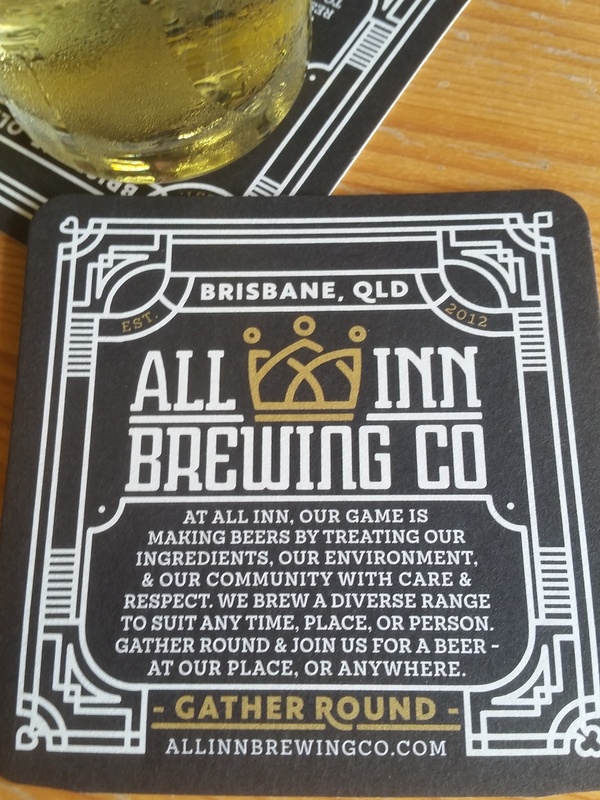 All Inn Brewing Co is highly recommended as a great alternative to the large pubs and for a very relaxed sip or two of some great crafted beers. For more information on the opening times go to the website and Facebook page. Images from venue website and taken by the author. All Inn Brewing Co has officially unveiled its new brand and range, including their first production run of cans: a Porter, Pale Lager, American IPA and American Pale Ale and in keg only, their official relaunch beer - a brand new 7.2 % Red IPA, pure hops, flavour and aroma. Head Brewer Harley Goodacre says the brewery still prides itself on being the renegade 'beer that hasn't gone to business school' but that with five successful years now under their belt, they have "grown vigorously yet always organically. We have upgraded equipment, improved our methods and raised quality tenfold, it was time for the branding and range to catch up and capture our ethos of inclusivity," Goodacre says. Check out www.allinnbrewingco.com for all the latest. Where: 189 Elliott Road, Banyo.